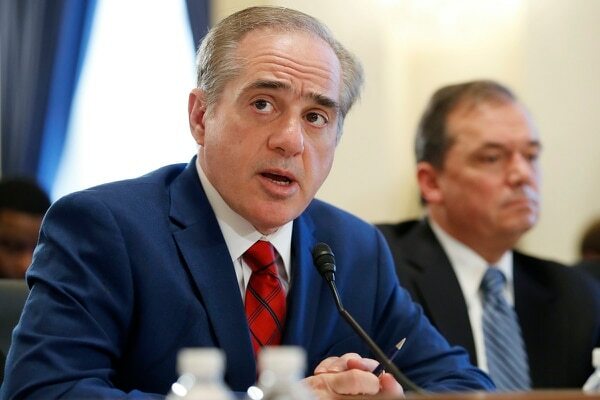 WASHINGTON — Veterans Affairs Secretary David Shulkin on Wednesday promised another department leadership shakeup in the wake of yet another scathing inspector general report that accused VA officials of additional improper behavior. which overshadowed the goal of improving patient care. This time, the report wasn’t focused on Shulkin himself, as has been the case with a series of scandals at the department in recent weeks. Instead, the new report focuses on errors at the Washington DC VA Medical Center that lead to the ouster of the hospital’s chief executive last year and an ensuing slew of resignations as investigators worked through problems with supply shortages, improper sterilization of medical equipment and inadequate staffing at the campus. In a hastily called press conference at the hospital Wednesday morning, Shulkin announced plans for a series of local staff changes and higher-level VA reorganizations. Two regional directors — one for the New England VA network, one for the Arizona and Southwest United States network — will retire in coming days, and the Washington, D.C., network director will be reassigned to another senior level job. A new executive will be put in charge of all three regions to implement a series of reforms. The VA’s overall procurement program will be overhauled, Shulkin said. 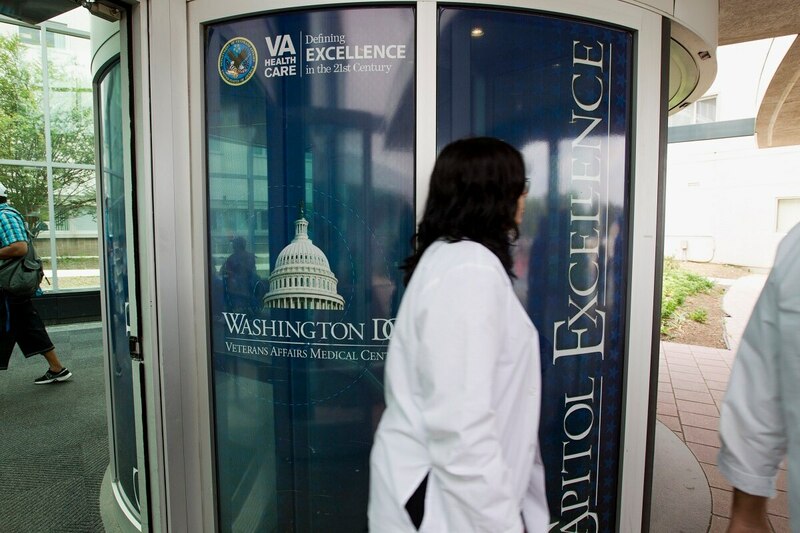 All VA hospitals will undergo new hiring and staffing reviews and be subject to unannounced inspections, to ensure similar problems aren’t festering. But Shulkin — who served as the VA’s top health care official when many of the DC medical center’s problems first surfaced — deflected blame for not making the corrections sooner, saying that top officials were unaware of the problems just a few miles away from the department’s national headquarters. He also sidestepped questions about recent turmoil at VA, asserting that the days of “unfortunate distractions” at his department are in the past. Last month, a similarly lengthy and scathing inspector general report accused Shulkin of multiple ethics violations during an overseas trip last summer, where, in between official duties, he accepted free tickets from an English businesswoman to the Wimbledon tennis tournament and taxpayer dollars were used to pay for his wife’s airfare. Shulkin initially refuted the report, then agreed to pay back the disputed funds and make changes at the department. But he also suggested his chief of staff’s emails may have been hacked and accused several senior VA and White House officials of openly working against him. A later investigation by the inspector general found no evidence of hacking. But the turmoil did make public a series of policy and personality disagreements within VA, including a public fight between Shulkin and his own communications staff. President Donald Trump has not directly addressed the issue, but White House Chief of Staff John Kelly has told veterans groups that Shulkin’s job is safe for now. Beyond the retirement of Shulkin’s chief of staff, no high-ranking officials at VA have been dismissed or have resigned since the scandals broke. That has left Shulkin publicly insisting that he is in control of the department and that his staff has moved past the infighting. “We are not going to be spending time on identifying particular personnel actions, but it’s going to be clear this is an organization that is moving ahead with a singular focus to fix these problems,” he said. Shulkin said he expects detailed plans on the just-announced reorganizations in the next two months. Meanwhile, he said, changes already made at the Washington DC medical center have resulted in dramatic improvements in recent months. He’s hoping to see that progress repeated across the country with the additional staffing and procedural changes in the weeks ahead.